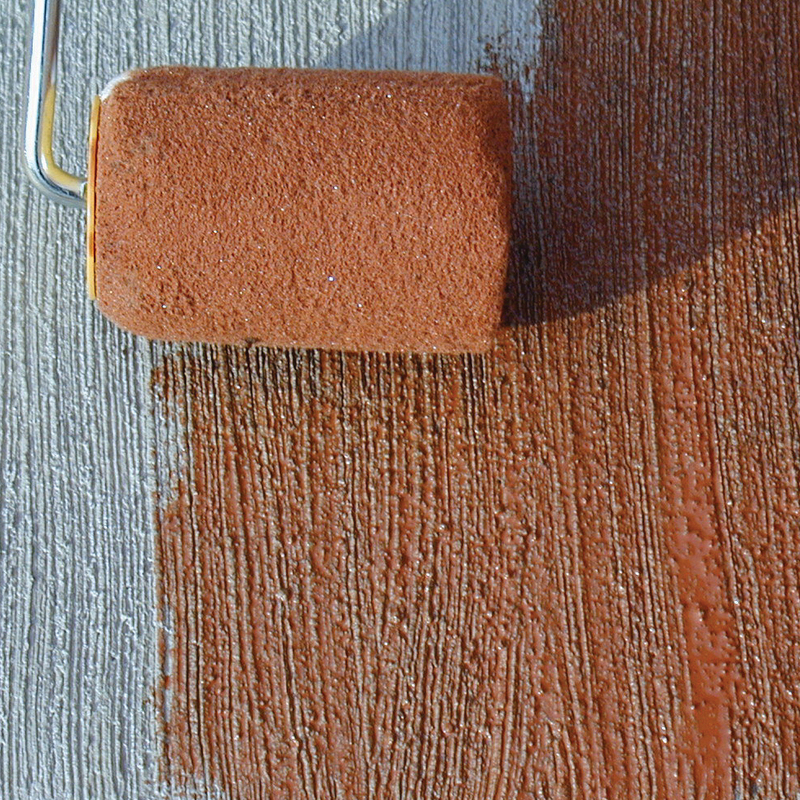 High performance pigmented exterior concrete stain and sealer for horizontal surfaces. 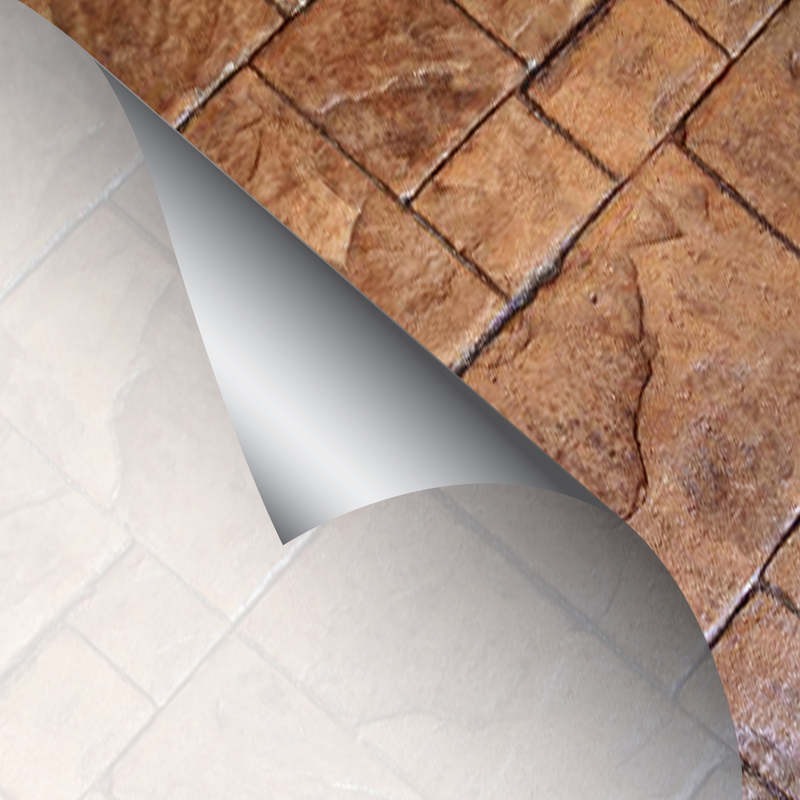 Breathable to allow vapor transmission and prevent peeling or chalking. Minimizes shrinkage, increasing the durability and service life of delamination and spall repair mortars. Increases physical strength and bond strength of all portland cement based mortar and concrete. Fast setting repair mortar complies with ASTM C-928 rapid hardening type. 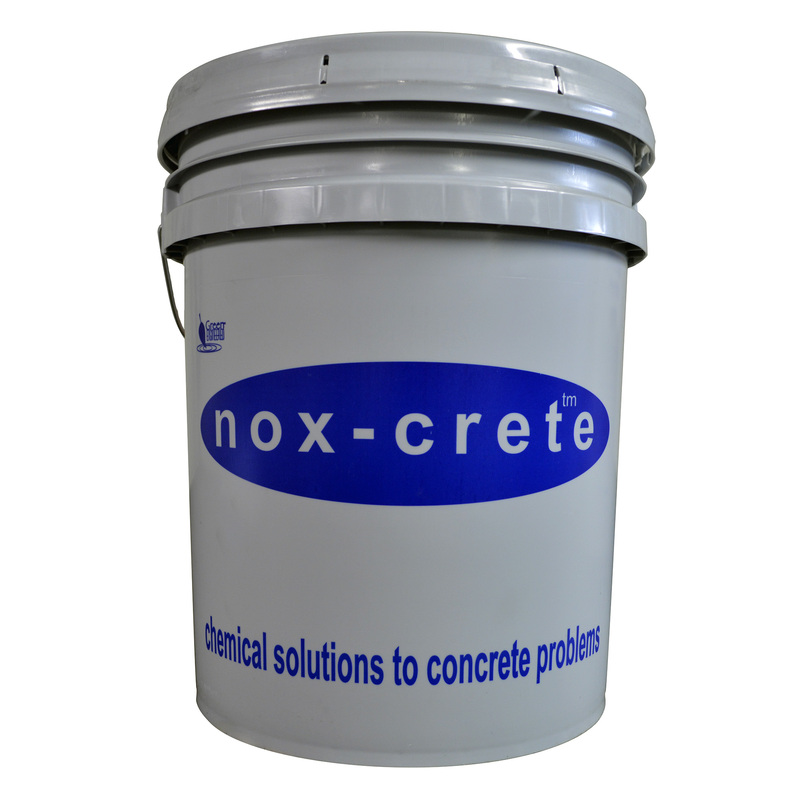 Contact Nox-Crete for purchase information. 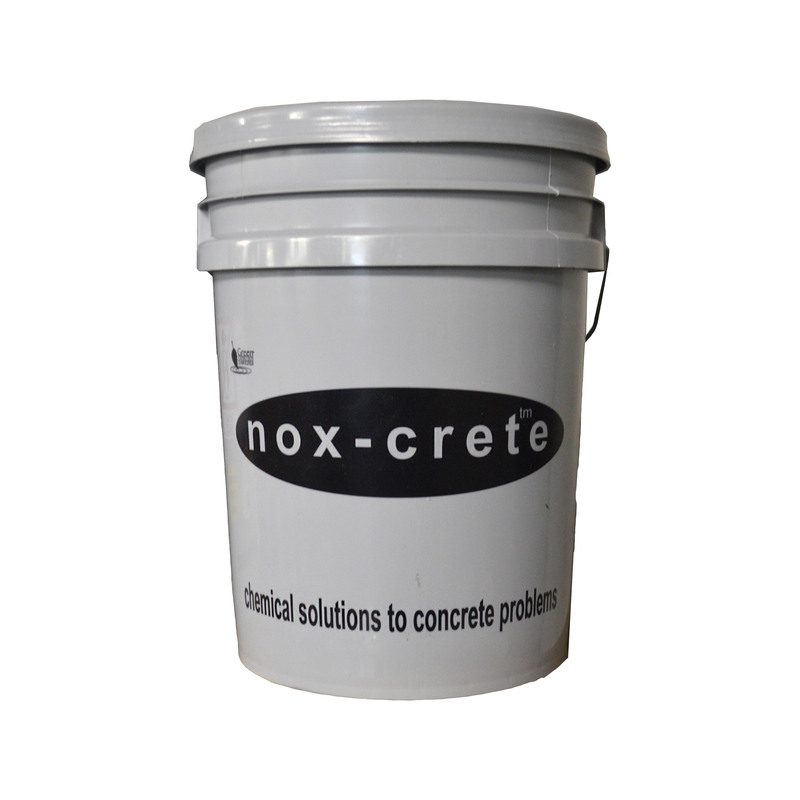 This aluminum concrete form release agent is concentrated with a variable dilution rate (as high as 1:6) to maximize product performance and your cost savings. Ready-to-use, aluminum forming release agent reduces spalling, bugholes and surface voids. For new seasoned or previously used aluminum forms. Removes acrylic coatings with easy, error-preventing blanket stripper system. Concentrated and biodegradable concrete stripper. Complies with Consumer Products VOC regulations when diluted 2:1. 100% biodegradable form release agent free of conventional form oil, diesel oil or kerosene. Vegetable oil-based, biodegradable and environmentally-friendly form release agent provides smooth, uniform concrete surfaces. This product is non-corrosive and non-hazardous according to OSHA and federal DOT standards. 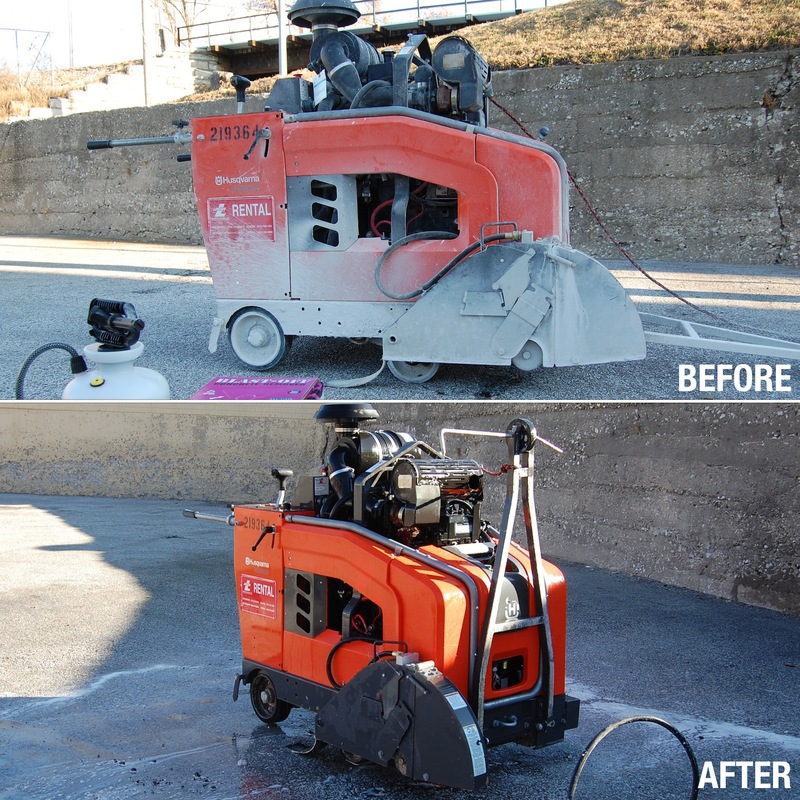 It is safe to use for concrete removal on all surfaces. Concentrated formula designed for larger applications like ready-mix trucks, batching plants and batching equipment. Neutralizes for safe disposal and also contains powerful detergents to remove grease and exhaust soot, as well as a synthetic wax to gloss up painted surfaces. 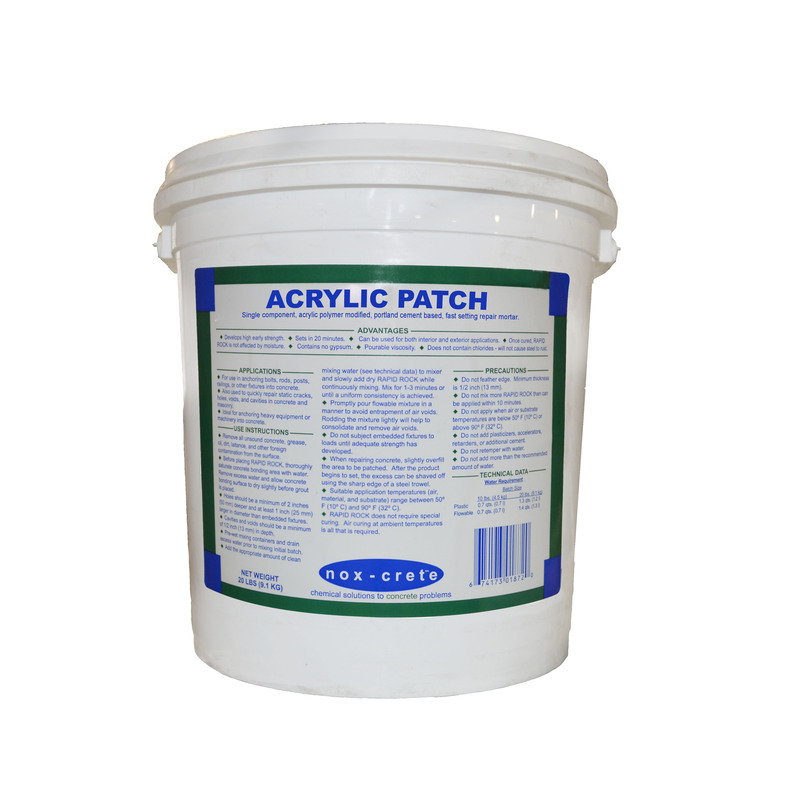 Prevents the adhesion of concrete mortar to treated brick surfaces. 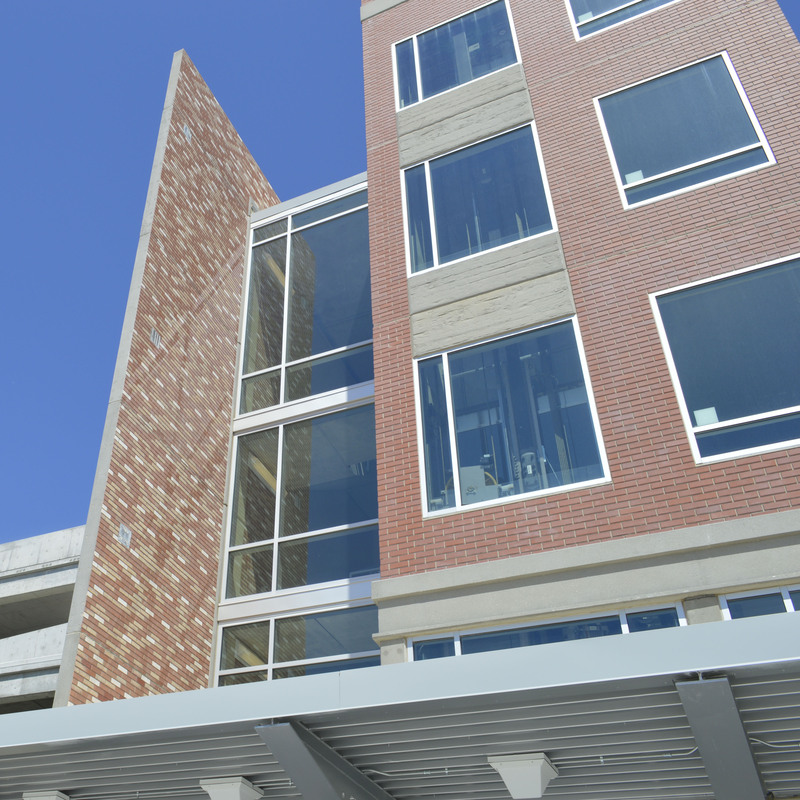 Non-membrane forming, silicate based curing compound makes it simple to apply future coatings. Economical, ready-to-use form release agent for use on most form surfaces.